he strain’s name indicates kinship with other simian-named strains like Grape Ape or the wildly popular Gorilla Glue No. 4, or might just mean that naming your weed after primates is the going thing this year. In any event, subjective effects from rigorous reduction of this monkey-monikered nug were pleasantly indica like. 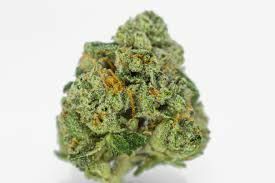 Trippy imaginings, a suddenly cheery disposition and long-lasting head high were three of the more noticeable effects, and a reviewer may always gauge the effectiveness of good indica by how slow one’s typing speed becomes. Upped some fractions of a point for the sheer dogged persistence of buzz.